Here’s an elegant way to barbeque: The addition of a bluestone terrace on the back of this house creates a whole new entertainment area. 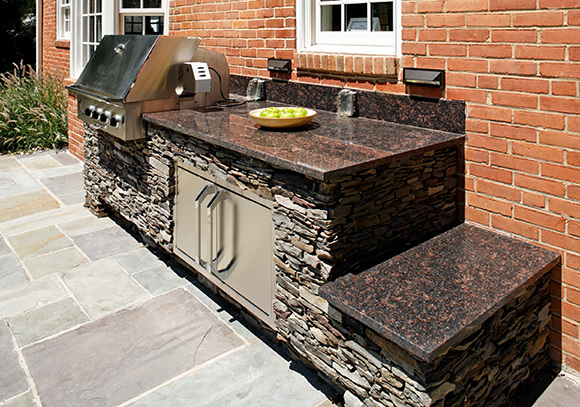 Stacked stone and granite on the outdoor cooking center blend beautifully with other natural materials and complement the back yard. A stainless steel storage area below even has built-in illumination in the toe kick for a gentle evening light. This hard working space makes entertaining easy and fun.